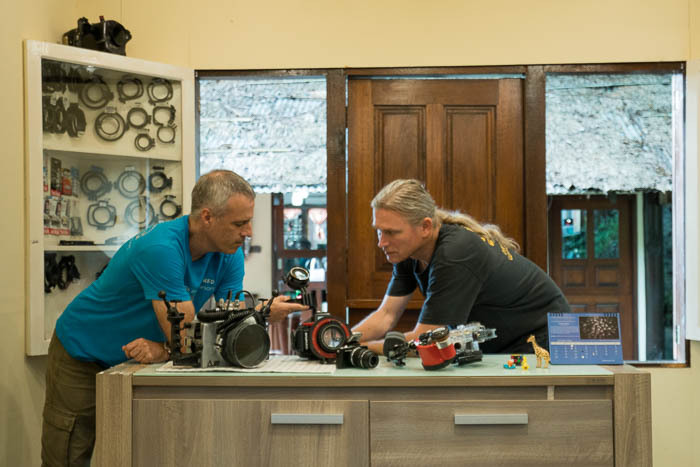 Lembeh Resort is proud to be the only dive resort in Lembeh that offers not only an on-site, dedicated, full-time Photo Pro, but some of the most hi-tech and advanced underwater photography assistance in Indonesia. The underwater images of our renowned Photo Pro, Fred Juneau, have been widely published and he has a collection of international accolades and achievements. Fred also has an extensive knowledge of camera housings, accessories and brand manufacturers. Underwater photography is in our DNA and we understand that it is in yours too. Cameras@Lembeh’s aim is to provide advice and support to photographers of all levels and assist with any problems encountered so that a camera malfunction does not mean the end of your photography trip. If it is at all possible, we will have you back in the water capturing images as fast as we can. Fred’s computer science and photography skills also extend to camera repairs, camera accessories, photo and video editing and just about anything and everything related to underwater photography. In the event of leaks or floods, Fred also operates a custom-made dry box in the Photo Center which has saved numerous cameras. We understand that things happen and breakages occur. Equipment can shift during travels, wear and tear takes a toll, and batteries have limited life spans. Our Photo Center is equipped to deal with all of these eventualities and is equipped with battery testers, voltmeters, a 3D printer, soldering iron, hot air station, utensils for cleaning electronic circuit boards, a range of tools for opening sticky parts like ports, numerous chargers for many different electronic devices, and a host of smaller items such as o-rings, housing parts, screws and springs for many different brands. 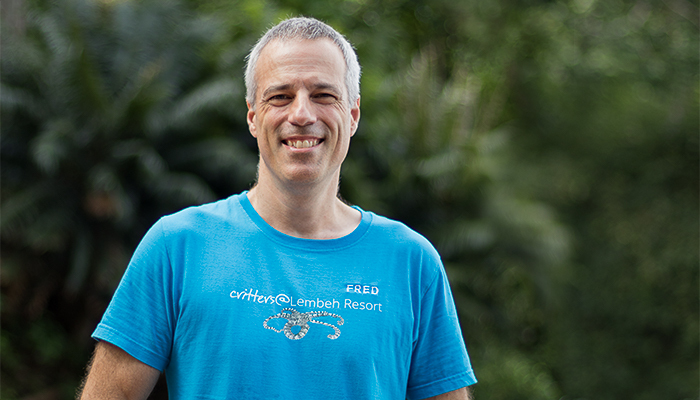 Here at Lembeh Resort, dive photographers almost never need sit out a dive due to camera issues. Cameras@Lembeh Resort offers a full-service air-conditioned classroom for one-on-one teaching sessions with our renowned Photo Pro, complete with a 42” flat screen television for viewing your images and videos. 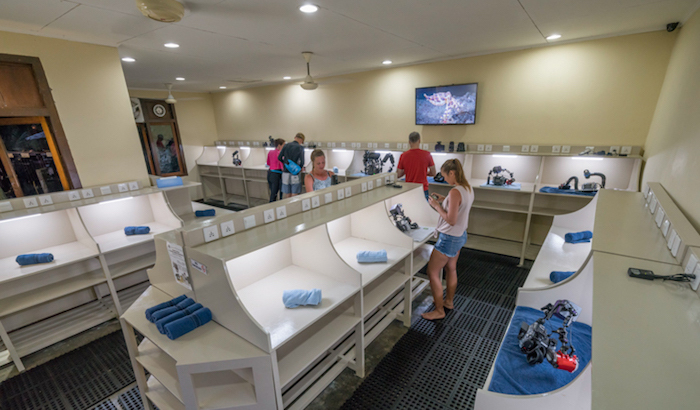 We are the only resort in Lembeh (and in Indonesia) that has a full-time dedicated Photo Pro operating out of a dedicated Photo Center facility. While we hope you do not need to use it, we have a drying facility for flooded cameras as well as a 3D printer which enables us to fabricate broken or missing parts during your stay. When you are at the resort please feel free to stop in and see what we have to offer for you. Cameras@Lembeh Resort is just a few steps away from the dive center and guest camera room.